Should the Rehabilitation and Strength and Conditioning Professional Abandon “Traditional” Bi-lateral Leg Exercise for Single Leg Exercise Performance? Today’s article is from Rob Panariello, a regular contributor to this blog. I always appreciate Rob’s insight, logic, and thought-process. I finally got to meet Rob in person at the NSCA National Conference last month, which was great. I’m very pleased that guys like Rob are still putting out content – we have some legends in the S&C game who have a ton of knowledge and wisdom to share, and Rob is one of these guys. During the past few years I have made a number of national and international platform presentations at both Strength and Conditioning (S&C) and Physical Therapy (PT) Conferences. While presenting at these conferences I have also attended my share of presentations including single leg exercise lectures and had numerous discussions on this topic with both conference presenters and attendees. Over this period of time I have also read many citing’s of single leg exercise performance in both the literature as well as on the Internet. 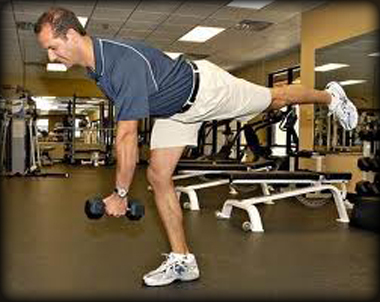 In recent years there appears to be a trend by many professionals to supersede traditional bi-lateral leg exercises (i.e. squat, deadlift, RDL, etc.) in favor of single leg exercises. To be clear, I am not stating that there is the addition of single leg exercises to the athlete’s rehabilitation and athletic performance training programs, but the actual replacement of traditional bi-lateral leg exercises with single leg training in the rehabilitation and athletic performance (weight room) program design. During my conversations regarding this topic of rehabilitation and performance training program design philosophy, the most common responses I receive are something to the effect of “Single leg exercise is more sports specific than bi-lateral leg exercises as we run on one leg, skate on one leg, etc.” as well as “traditional bi-lateral lower extremity exercises place the low back at risk of injury”. To be totally transparent I personally am not opposed the inclusion of single leg exercises in the rehabilitation and/or athlete’s training program design as this category of exercise, when appropriate, does provide benefits to both the patient and athlete. I myself, when applicable, will also institute single leg activities with both my patients and the athletes that I train. However, with that stated, the question remains if bi-lateral leg exercises should be removed from the rehabilitation and performance training environment? Prior to making the decision to discard bi-lateral leg exercises the rehabilitation and strength and conditioning professional should review the advantages and benefits of bi-lateral leg exercise performance, some which will be the topic of this discussion. Are all single leg exercises really single leg exercises? During the performance of these types of “single leg” exercises, although the emphasis of applied stress may be placed at a primary extremity i.e. the front leg, isn’t the secondary extremity i.e. the rear leg also sharing the applied load? Isn’t the rear leg also assisting in body balance and control during the exercise performance? So are these exercises truly single leg exercises or are they also bi-lateral in nature? 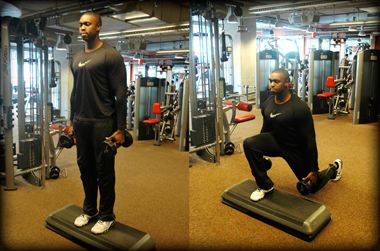 However, with a traditional bi-lateral exercise leg posture the body achieves a greater (wider) platform of stability. This enhanced stability allocates many advantages during weight intensity exercise and athletic performance. As an example, if the rear leg was eliminated as a pillar of stability from the split leg exercise performance resulting in a true single leg exercise such as the pistol squat, could the same levels of exercise weight intensity possibility be utilized? Are the exercises that are performed in the weight room really “sports specific”? As previously indicated, many statements for the utilization of single leg exercise performance includes the notion that these exercises are “sports specific” as the examples commonly sited are activities such as running or skating that do comprise a period of single leg support. However, conversely, it could also be stated that no exercise performed in the weight room is sports specific. To defend this position it is important for the Rehabilitation and S&C Professional to acknowledge the distinct differentiation between the relationships of an athlete’s “athleticism” vs. the athlete’s level of “skill”. For example in review of the jump shot in the game of basketball two basic important factors occur, (a) the athlete must jump high prior to shooting the basketball and (b) the athlete must be able to effectively shoot the basketball at the peak height of the jump. The ability of the athlete to jump high is dependent upon their “athleticism” whereby successfully shooting of the basketball (scoring) is based upon their level of “skill”. As a basketball player trains in the weight room to improve the physical qualities that correlate to optimal basketball performance, this will often include an improvement in their vertical jump (athleticism) performance. However, one may also ask what also occurred in the weight room to enhance their ability to improve their shooting accuracy (skill)? The answer is likely nothing. The weight room provides an environment to enhance the athlete’s physical qualities (strength, power, elastic abilities, and speed) in an attempt to improve athleticism. The S&C Professional does little if anything to enhance an athlete’s level of skill as that is the responsibility of the skills (head or assistant/position) sport coach. The athlete enhances their skill level by repetitively practicing the skills of the sport as well as those necessary for their specific team position of participation. In discussions with my good friend Derek Hansen, the protégé of world renown sprint coach Charlie Francis, Derek would remind me that Charlie would state that nothing in the weight room is anywhere close to the velocity and output of sprinting. The utilization of heavy load intensities was utilized by Charlie for “recruitment” purposes that may indirectly transfer to the track via a conversion/transition period. Charlie would always characterize his weight training programs as “general” strength work as specific strength work occurred during training on the track. He was also of the opinion that sport specificity did not exist, particularly when comparing an athlete’s training to competition as the athlete’s training is never completely specific to their competition efforts. Charlie was of the belief that the athlete needed a specific number of competitions to prepare them for their peak race performance. He believed that 100m sprinters needed 6-8 races as 400m runners need 4-6 races for this preparation philosophy. During the rehabilitation of a post-surgical rotator cuff in a throwing athlete one of the end stages of rehabilitation is the implementation of a long tossing program. Long tossing is a mechanism of enhancing the physical quality of strength in the athlete’s throwing shoulder/arm. How does successful long tossing enhance the pitcher’s strike to ball ratio/accuracy (skill) from the pitcher’s mound? In other words how do long tossing activities improve the pitchers proficiency in throwing strikes? It really doesn’t, therefore, are these exercises as well as the exercises the athlete performs in the weight room really “sport specific”? I personally am of the opinion that they are not. What about the “single leg” statements that occur during the discussion of running and skating activities? Certainly during running and skating there is a period of time where the athlete is supported on a single extremity. However, does this mean that the contribution of bi-lateral leg training is not an important contributor to this phase of the movement cycle? The running gait cycle comprises 3 phases, the swing, the float, and the stance phases. In review of a single leg during the running cycle, 60% of the cycle is spent with the foot off the ground (swing + float phases) and 40% of the cycle is spent with the foot is in contact with the ground surface area (Figure 1). Since a minority component of the running gait cycle occurs with the foot in contact with the ground surface area, the athlete must take advantage of this brief ground contact time (stance phase) by placing as much force into the ground in the allotted period of time. Two of my mentors in the field of S&C, Hall of Fame S&C Coaches Al Vermeil and Don Chu have taught me this concept over 30 years ago. Their lessons in training were based on the fact that the greatest athletes in the world are the one’s that apply the greatest amount of force into the ground surface area in the shortest period of time. This concept has been documented in athletics and sprinting by many including Mann and Weyand. Other than sprinting during track and field competition, one would have to observe if most sports are dominantly played with each leg in an alignment in front of each other or are most athletic activities performed with the feet positioned at their hip width alignment or wider, the same foot alignment that occurs during traditional bi-lateral exercise performance. Most athletic activities also begin and end on two feet. This includes the start of a sprinting or running activity as well as jumping, blocking, skating, fielding a ground ball, throwing, swinging, cutting as in the instance when a football player “jump cuts”, and of course deceleration type activities such as landing from a jump. Since most athletic movements are initiated on two feet, optimal force must then be applied at the time of the initiation of movement via a bi-lateral leg posture. Ice skating is another interesting reference often included in the “single leg” discussion. In a research paper by Bracko, who identified and analyzed the different skating style characteristics of National Hockey League (NHL) forwards, the highest mean percentage of skating time spent by a NHL forward during participation in an NHL hockey game occurred on a two foot glide (double leg stance), more that any other type of skating position. In fact Bracko noted “The primary difference between a high and a low point scorer was that a high point scorer spent more time on the ice, and had a higher mean percentage of time spent in a two foot glide with and without a puck.” One may also inquire what is the position of the lower extremities and feet of arguably the most important player on the ice, the goalie. What are the advantages of “traditional” bi-lateral leg exercise performance? 1. Exercise Weight Intensity (Load) – High weight intensity is required for the body’s adaptation to build strength, power, elastic abilities and speed. The more stable the foot (feet) and lower extremity position, the heavier the load that may be lifted. Heavier loads enhance the physical quality of strength, the physical quality from where all other physical qualities cultivate. Strength is also the foundation for the application of optimal levels of force. Heavier loads may be applied to the athlete during traditional bi-lateral lower extremity strength exercise performance such as the squat, RDL, and deadlift when compared to the weight intensities applied during the performance of these same or similar type exercises when executed on a single lower extremity. Load is also very important in the recruitment of a muscle’s motor units (MU) as well as fast twitch (FT) muscle fibers resulting in a greater overall muscle fiber contribution and force output during lower extremity exercise performance. Heavier weight intensities will also enhance a muscle’s rate of force development (RFD) and ground reactive forces (GRF’s) as well as the development of soft tissue structures such tendon and ligament strength (Davis’ law) and bone density (Wolfe’s law). Ask the athlete of their interpretation of the contribution of the musculature of the shoulders, arms, back, CORE, hips and legs when lifting a heavy weight as compared to the effort of lifting a lighter weight during the same type of exercise performance. There likely will not be any surprises upon hearing their response. 2. Velocity – Barbell velocity has been demonstrated to be a very important factor in the development of the physical qualities of power and speed. If this were not accepted why do so many coaches measure barbell velocity during training with tendo units and other similar types of equipment? Higher exercise performance velocities will occur with a bi-lateral exercise posture when compared to the exercise velocities generated during single leg exercise performance. During a specific exercise performance with the weight intensity remaining consistent, higher exercise velocities will assist to recruit more MU and FT muscle fibers as well as enhance RFD and GRF’s when compared to the same load lifted at lower exercise velocities. An additional benefit of high velocity training is the effect upon the body’s joint co-activation index. This concept was taught to me years ago by Charlie Francis and Al Vermeil at the time the three of us were hired as consultants to work together with an NFL team and has been re-enforced in recent years by Derek Hansen. A simple co-activation index description with regard to the weight room setting is that slow strength type movements are usually correlated with heavier weight when compared to the weight intensities of power movements performed at higher velocities. Time is not a factor when performing strength type exercises. The slower exercise tempo associated with lifting a heavy weight results in joint stability as both the agonist and antagonist muscle groups of a particular joint work together simultaneously. Thus the co-activation index of these two muscle groups working together to stabilize a joint during a strength exercise performance is close to or at a 1:1 ratio. High speed exercise movements for the development of power and speed are dependent upon a brief factor of time. These high speed weight room exercise activities i.e. the Olympic lifts require an emphasis of high contribution from the agonist muscle group while the antagonist muscle group of the joint(s) must have as low a contribution to exercise performance as possible. This emphasized contribution of the agonist muscle group allows for a shift in the co-activation index in favor of the agonists resulting in optimal high speed propulsion, as well as a fluid motion of the body in the desired direction of movement. Tudor Bompa has also exhibited that the highest skilled athlete’s have the ability to completely relax their antagonist muscle groups during movement and that ridged and rough movements are a result of poor coordination between the agonists and antagonists. In the area of sport rehabilitation RFD, GRF’s and improvement in the co-activation index are criteria that need to be instilled in the athlete as well. Angelozzi has demonstrated that post-operative ACL reconstruction athletes restored their strength to 97% of their pre-injury strength levels at 6 months post-op. However, in the same period of time the RFD was measured to be only 63% of documented pre-injury levels. In fact it took approximately one year for the RFD to reach 90% of the pre-injury level. In the area of sports rehabilitation high speed weight exercises should be implemented appropriately and without risk to the athlete, as soon as safely possible, to enhance both RFD, GRF’s, and to induce a proper co-activation index for optimal high speed athletic performance. Higher exercise performance velocity is another advantage for the incorporation of traditional bi-lateral lower extremity exercises. 3. Lower extremity exercise and foot position – Most athletic activities are not only initiated and conclude on two feet, but often occur with each foot positioned at hip width if not outside the alignment of the hips, not usually with one foot aligned in front of the other. Remember when your sport coach taught you/told you to assume an “athletic position”? Where was the alignment of your feet positioned? What is the athlete’s common foot position when applying force during blocking, tackling, wrestling, jump cutting, jumping, landing, and yes even skating? Which lower extremity posture of the common sports of participation i.e. football, basketball, baseball, soccer, golf, etc. provides the athlete with the base of support that optimizes both stability and force production, a posture with a single leg support, a foot position in a straight alignment with each other, or a posture with the feet positioned at hip alignment or wider (Figure 2)? “Performing traditional weighted bi-lateral leg exercises will result in low back injuries” is another response provided to me during the bi-lateral vs. single leg exercise discussion. As previously discussed stress is necessary for adaption to occur. Hans Selve has demonstrated with his General Adaption Syndrome (G.A.S.) Model that stress must be applied to the body for the disruption of the homeostasis of the body and for supercompensation and adaptation to take place. Therefore for an athlete to enhance the physical qualities required for athletic participation, unaccustomed levels of high stress must be applied to the athlete for this adaption to take place. Therefore, it may be stated for this adaptation to occur, regardless of the exercise performed, single leg or bi-lateral leg, applying unaccustomed yet appropriate high levels of stress (intensity) to the exercise performance will result in the exercise not being 100% safe for the athlete. Since unaccustomed high levels of exercise stress are necessary for adaptation (improvement) to occur, and these applied levels of stress place a risk to the athlete’s anatomy during the exercise performance, one may ask is there truly a safe exercise? All high intensity weighted exercises (applied stress) have a risk component, thus the only entity occurring with “safe” exercise performance is a wasting of training time as a truly safe exercise will not apply the necessary level of stress needed for supercompensation and adaptation. Traditional bi-lateral leg work will apply stress to the low back i.e. back squat exercise, deadlift, RDL’s, etc., however single leg as well as the split leg posture exercise i.e. lunge, Bulgarian/RFESS, etc. place high levels of stress to the Sacroiliac (SI) joint which has been documented to be responsible for approximately one-third of all low back pain. Why is this SI joint statistic ignored during the same bi-lateral vs. single leg exercise discussion? The fact is that no exercise performed with an significantly applied load is 100% safe, as it is the talent and responsibility of the S&C Professional (the art of coaching) prescribing the exercises to be performed, as well as the appropriately prescribed exercise weight intensities and volumes (program design), that will assist to prevent injury. One other notion to assist in the prevention of weight training injuries taught to me by my friends and mentors, Hall of Fame S&C Coaches Al Vermeil, Al Miller, and Johnny Parker is the preparation of the athlete prior to the ensuing participation in performance training. This concept is not implemented as often as a coach, parent, or athlete may like as often times the athlete is brought into the weight room, and whether the athlete is physically ready or not, they are required to immediately execute the prescribed training program design. If the athlete is to squat during training, shouldn’t the low back be prepared prior to the initiation of the squat exercise performance? The same may be said of the anatomy of the SI joint prior to single and split leg exercise performance. Preparation of the anatomical area in question for the eventually application of high stress training will also assist to reduce the risk of weight room injury and the discarding of a valuable exercise. It is well documented how excessive fatigue negatively impacts joint biomechanics and muscle force output during athletic performance. If this were not true then why does a pitcher have a pitch count? Excessive fatigue will also have a negative effect upon weight room exercise technique, force output, as well as enhance the risk of injury. My friend and former competitive Olympic style weightlifter, now a coach and researcher with a PhD in biomechanics Dr. Loren Chiu raised an interesting concern during a conversation that occurred between us years ago. Dr. Chiu pointed out that during single leg exercise performance, since each leg is exercised individually, twice the amount of repetitions per exercise set must be performed when compared to bi-lateral leg exercise performance. Therefore fatigue due to exercise performance may more readily occur following prolonged single leg exercise execution when compared to bi-lateral leg exercise execution. This is especially true with regard to the musculature of the body supporting the weight intensity as the time under tension is twice that when compared to bi-lateral lower extremity exercise performance i.e. a set of 10 repetitions in a bi-lateral lower extremity exercise becomes a set of 20 repetitions as each leg of a single leg exercise must perform 10 repetitions independently. This matter of exercise fatigue should be an important consideration during the program design of single leg and split stance exercise performance. I am not against the implementation and utilization of single leg exercise performance during both the rehabilitation and performance training of athletes. I myself utilize this category of exercise performance, when appropriate, with both my patients and athletes. However, there are circumstances where bi-lateral leg exercises provide many superior benefits in both the rehabilitation and performance training setting when compared to the single leg exercise performance. To underestimate these benefits and to exclusively perform single leg or split leg in line posture lower extremity exercises would be a disservice to both your patient and athlete. Bob, thank you for writing this. And I totally agree! While sharing a good share of your conclusions, I think some arguments are not valid: Misunderstanding (and thus confusing and self-contradicting paragraphs throughout the whole article) of “specificity” (“Are the exercises that are performed in the weight room really “sports specific”?”) ; refer to a textbook for a clear definition and elaborated explanation of that concept (link below). As its with the Derrick Blanton article, its very hard to be both an expert in sports science (see the critical remarks on the anatomical concepts delivered in that article in the comments) and in the practical application. Guess its the theme of the whole conditioning business 😉 . The paragraph “Are all single leg exercises really single leg exercises?” on the other hand is indeed scientifically debatable (frankly I think there just isnt an age-old clear scientific definition of single leg exercises) – but here it is an argument in favour (!) of the commonly used not-so-clear single-leg exercises (lunges, split squats) that they provide more stability than true single-leg exercises (pistol squats). Paragraph “What about the “single leg” statements that occur during the discussion of running and skating activities?”: Even in parallel stances, sprint starts/acceleration from standing uses one leg at a time to push into the ground – otherwise you would just jump forward (and thats why sprinters start from a split stance; of course, some sports do use a bilateral push into the ground, often when jumping is required). Paragraph “Performing traditional weighted bi-lateral leg exercises will result in low back injuries”: Good points here! Particularly the SI impact is rarely discussed. Paragraph “What about exercise fatigue?”: Well, its a trade-off between intensity impact and endurance impact on the stabilizers: less intensity for example on the upper back (because of lower loads), but more repetitions. Is that bad or good? Depends on your goals, rest of training setup, individual. As always 🙂 . I honestly really don’t know where or how to respond, especially when provided an advertisement for a book to purchase. (Thanks but I already have the book). I’m also not sure what this statement implies. Am I supposed to review this article? Are you also implying that a physical therapist or any healthcare professional cannot also be a proficient Strength and Conditioning Coach? I guess you should inform Derek that he is making a big mistake when he e-mails me privately for my opinion on various aspects of training. As far as my article, all I can say is that the information provided is accurate and is justified by scientific evidence. This same training philosophy, backed by scientific evidence, is utilized by many Hall of Fame S&C Coaches who are not “sport scientists” but hopefully satisfy your specific requirement as practitioners as demonstrated by their professional accomplishments. Arguably (proven by both science and performance) the most powerful athletes in the world are either the Olympic Style Weightlifters or Track and Field throwing athletes. What types or exercises are the foundations of their training? We are all entitled to our opinion and surely can agree to disagree. However, my experience in these specific types of discussions, with some of the comments made and information provided, limit my only avenue for response to this. If you doubt or do not believe in the value of what is stated then it’s simple, don’t do it. To be bluntly honest I am at the stage of my career where I could care less. I provided some disagreeing arguments on the topic. I would greatly appreciate if you discussed them in a factual manner. So far – as was sometimes the case in the article – you have provided statements out of authority, not out of logical reasoning (you did sometimes in your article and i criticized some of them in my post) or scientific evidence. You strongly hold that your claims are backed by scientific evidence. I again would greatly appreciate to see some on the specific topics I tackled in my post. That is usually certainly not a requirement on a blog site, but Bret simply set the standards very high here 🙂 . Forget my drawing a parallel with Derrick Blantons article on Internal Rotation some days ago on this site. Maybe I shouldnt have put this on my criticism of your article, but it seemed indeed a parallel because another probably great practitioner was criticized then in the comments of not representing the scientific-backed (there it was the anatomical) mechanisms correctly. Again, that sentence indeed adds nothing to my criticism nor does it need it. It was just an observation, and as it was a personal one, i maybe shouldve omitted it. I have no connection whatsoever with Zatsiorsky and Kraemer´s book and posted it only as it is a popular textbook of strength training. I probably couldve listed any of them containing chapters on “training for specificity” and “RFD”. “Again, that sentence indeed adds nothing to my criticism nor does it need it. It was just an observation, and as it was a personal one,” This is my red flag. In my experences when these types of statements are made and books are posted, etc… the discussion is personal not open minded. The person that making the criticism isn’t looking for a discussion of the subject/issues at hand, they are looking for an argument to justify their point. The discussion then progresses no where for either party. I’ve had my fill of these “discussions” in my career and honestly avoid them when I can as they are a waste of both time and energy. As I stated in my initial reply let’s just agree to disagree and leave it at that. Very unfortunate you classified my post as such. At least when seeing my second one you could be sure i am about the topic – even my first one was on specific points u made, i even quoted the paragraphs. And I dont know why the citation of a sports science textbook would give you a red flag. Looks a bit like a simple excuse to not adress the points and criticisim I made – I explicitly said you could ignore the one single sentence that was an opinion. Very interesting and provocative article, Rob. But what about situations like mine — I’m a 52 year old masters All-American sprinter with a grade 2 L5/S1 spondy and basically no disc in that location. The question isn’t whether unilateral exercises contribute to lower back pain but whether they remove some of the stress that can exacerbate a condition like mine? And, trust me, my doctors aren’t crazy about the fact that I sprint and are all begging me to get a fusion. Anyone who reads my articles or posts knows that I don’t make excuses. I say what I have to say and defend it with both the literature and my empirical experiences. I don’t put a bio at the end of my articles as Bret has once asked me to as I am confident in both my abilities and my accomplishments. No one else needs to know that but me. I also put my full name, first and last, on every article I write and everything I post, so the reader is clear on who is providing the commentary. I don’t hide behind the curtain of the internet. 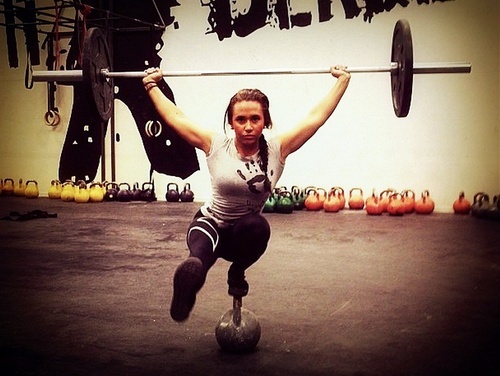 My interpretation of your posts is that you favor single leg training which is fine. However, based on some of the content of your posts I am not convinced that this will be an open minded forum as even by your own admittance you got “personal”. Besides my better judgment I will engage your questions but I ask that you answer mine as well. This will also be my last commentary on this issue. Anyone who coaches knows that coaching is based on science but is also an art. It’s not all “textbook” as empirical evidence plays a role as well. Have someone throw a baseball or football, shoot a basketball, etc. then don’t have them practice these skills for 3 months. During these 3 months have them squat, bench press, lift weights performing any exercises until the cows come home. After 3 months have them throw and shoot again see if their accuracy and skills have improved vs. the original testing. Skill is very different from athleticism. That why we have sport practice. That is why football is called football; baseball is called baseball, etc. I’m not sure of your point here as this is quite obvious. Try to push someone over as they stand on 1 leg vs. standing on 2 legs. My point is with more stability (2 legs) you are able to generate greater force output. Not true. Charlie Francis, Derek Hansen and other sprint coaches have taught me that the initial force application is bilateral and relatively equal. Then quickly shift to the front leg as the rear leg clears the block. Look up the research by Ralph Mann and others to verify this. I ask you to provide me with some references that differ from this evidence. The fact is that most athletic activities begin and end on 2 feet with the initial “loading” (trunk, hips, and knees flexed) prior to the movement occurring with a distribution of body weight over both lower extremities. As far as skating is concerned I also provided you with a reference where the scientific evidence demonstrates the majority of the time the NHL forward is in a bilateral glide (stance) which attributes to their success on the ice. Please provide a reference that demonstrates this is not true. There is tons of evidence to support the advantages of strength and power output with bi-lateral leg work. Look up the works of Jeff McBride, Mike Stone, Andrew Fry, John Garhammer, the list goes on and on. How about Comforts recent work looking at Peak Rate of Force Development and Ground Reaction Forces in Olympic Lifting and Olympic pulls from the mid-thigh (both bi-lateral activities). Mid-thigh pulls demonstrate the highest PRFD and Ground Reaction Forces from other activities. Garhammer demonstrated high power output with Olympic lifts over 20 years ago. Please provide me with a scientific study demonstrating greater RFD and Ground Reactive forces with single leg work when compared to bi-lateral leg work. We also know that most athletic activities have limited time to complete them, approximately 200 ms. Kawamori has shown that mid-thigh pulls (bi-lateral leg exercise) are performed in 100 ms, while vertical jumping (a standard test of power) and counter movement jumps take approximately 200 ms and 250 ms respective. Please provide me with information demonstrating where single leg work provides for a Peak RFD of 100 ms or less. Bi-lateral leg work also allows you to go “deeper in the hole” with significant load. Although pistol squats allow you to go deep often times “in-line” leg exercises limit depth. Why is this important? Dr. Loren Chiu and many others have demonstrated that depth is important for high muscle activity. As far as synergistic muscle activity we know that going deep has such effects as having adductors become hip extensors and thus have greater activity from a deep position. Please provide a reference where as you state “the inclusion of single leg exercises after a bilateral leg exercise or in cases where the load on the non-target-muscles must be diminished.” I am not aware of any research that supports that single leg work emphasizes the “non-targeted muscles” better than bi-lateral leg work. In fact most of the single leg studies are performed is in the field of physical therapy and the evidence is that true single leg work does not emphasize the entire lower extremity but the emphasis is place on the lateral hip musculature. Also bi-lateral leg work allows for greater load especially when recruiting those hard to recruit fast twitch type IIb muscle fibers. There is evidence that a load of 90% 1 RM is necessary for this recruitment of the IIb’s. Load also recruits “synergist muscles”. My opinion and yes I say opinion is that fatigue is the enemy in the weight room. How do I know this? I treat way too many athlete’s who are injured due to overuse injuries (poor programing). Too many things change when excessive fatigue onsets and none of them are positive. I prefer to use the weight room to develop strength, power and speed. The training over time (weeks, months) will enhance muscular endurance as the volume of work should appropriately increase over time. When I think of “endurance” (anaerobic or aerobic) where these activities still require muscular output, these activities are not performed in the weight room but on the track or somewhere else outside the weight room. 1. Sprinters do not initially provide relatively equal bi-lateral force application from the blocks. 3. There is a true single leg exercise that produces a greater RFD and GRF than bi-lateral explosive lifts. 4. That single leg exercise has a greater contribution to “synergist muscle activity” when compared to full range of motion bi-lateral leg work. I base my questions from your comments, not mine. If you can provide me with such references I thank you in advance as you have provided me with evidence to make me a better coach. However, if you cannot “your arguments are not valid” (to quote you) and your comments are nothing more than opinion. As the old saying goes everyone can have their own opinion but everyone can’t have their own facts. My apologies, one last question. the most powerful atheltes in the world as documented by science is arguable either the Olympic Weightlifter or Track and field thrower. Knowing that power/speed is the most important component to athletic activity, as it is also documented that we have 200ms or less to perform most athletic activities, what is the predominate exercise posture that these athletes utilize in training. A “traditional” bi-lateral posture or a single leg posture? Thanks for your answer, Rob! – If you consider strength training only partially accountable by science, then ofc we cant discuss evidence-based. Again, its certainly not needed in a guest article on a blog site, but as I said, Bret set the standards pretty high. So I thought you would cite some studies like Chris Beardsley does when tackling a question. As I already mentioned, I agree with some of your conclusions (I don´t “favour” unilateral exercises nor do I favour bilateral – they both have their place), but I couldnt agree with some of your arguments lacking scientific evidence. – Sports specificity and RFD: With your baseball throwing vs strength training example, youre not hitting what its called training for specificity and its implications. Thats why I referred to the textbook chapter on that as that would make some things clearer. Also, on the one hand you say that strength training vs (technical) “skill” are two different things (which may well be true) implying they dont need to be sports specific. Then again, one of your argument in favour of bilateral exercises is that it mimics sports stances better. 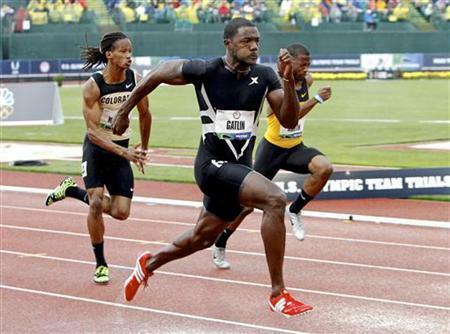 On that argument: Youre right that sprinters in the block provide force with both legs. Other than that – and after the first step, sprinting is unilateral. Regardless which stance (your football example) you had (most sports have a parallel stand to be able to react to side movements, for example tennis: Its unilateral sprinting there as it is in football.) Note that I´m not even saying that strength training always has to be specific (for example for beginners it can be very unspecific and still has a big transfer to specific movements)! I just found your reasoning not conclusive. Strength training always has its RFD later than the typical sprinting contact times. Olympic weightlifting surely has a greater RFD, but still there is mixed evidence for the transfer to sprinting. Here for example is negative evidence http://www.ncbi.nlm.nih.gov/pubmed/19114741 . There is also positive evidence out there, but imo without a clear evidence-based picture, you cant simply claim that bilateral exercises are better. In some studies, uni- and bi-lateral exercises have proven to be both very similar: http://svc066.wic026v.server-web.com/downloads/kmsdocs/Unilateral%20manuscript%20published.KMS%20used%20Page2.pdf Chris Beardsley recently reported that plyometrics do work in improving power and even hypertrophy http://www.strengthandconditioningresearch.com/2014/08/04/plyometrics-power/ . But according to research, split squats vs bilateral squats did not differ in strength/force, power and RFD! 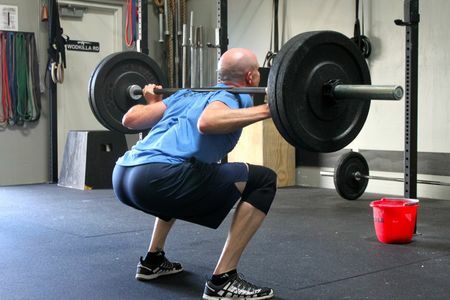 http://www.strengthandconditioningresearch.com/2013/05/13/split-squats/ So maybe its not unilateral vs bilateral but the different kinds of training used that make a bigger difference. I would therefore include both bilateral and unilateral work very individually, based on many factors, like the sports ofc (maybe its much more bilateral work for an NHL player, less for a soccer player), the individual, type of season, training setup and so on. So Im with you on the conclusion that unilateral shouldnt replace bilateral: they should be implemented both for optimal performance. But Im not with you on the reasoning, as that just isnt covered in some points by scientific evidence. I can see some more points speaking in favour of bilateral work (again, they have to be examined by sports scientists as well): less ankle injuries in bilateral plyometrics, faster training time, simpler exercise setup. N.B. : Seems that new evidence that Bret and Chris Beardsley report in their monthly reasearch review supports the stance I provided in the discussion: Bilateral and unilateral training are both equally legit and effective in a couple of practical outcome measures for athletes (rugby players).